John Pennekamp Coral Reef State Park is a Florida state park located between 2 bodies of water: Largo Sound and Tarpon Basin on the Atlantic Ocean side of Key Largo. The park consists of about 70 nautical miles and encompasses several types of habitats. The mangrove swamps, upland areas, and hammocks offer some interesting land exploration opportunities on well-maintained trails. The main draw for the park are its spectacular coral reefs which can be viewed by glass bottom boat or on snorkeling and scuba diving expeditions. Fishing, swimming, kayaking and hiking are also popular activities at John Pennekamp. Stay overnight and enjoy the natural quiet beauty the park has to offer at its campsites. John Pennekamp State Park has 2 man-made wheelchair accessible beaches. If swimming and relaxing are what you are looking for, go to the Far Beach. The picturesque palm tree lined setting is great for a swim and there is a nearby playground for the kids to enjoy. The playground is on the main road before you reach the beach and features a climbing tower and slide. Cannon Beach is where you go to enjoy snorkeling. Venture about one hundreed feet off the beach and find an old Spanish shipwreck to explore. Keep in mind that you are not allowed to leave the designated swimming areas even while snorkeling unless you have the appropriate "Diver-Down" flag showing. Beach wheelchairs are free to use. The Visitor Center is a great place to escape the heat or the scorching sun. Come inside and marvel at the 30,000-gallon saltwater aquarium or sit back and watch one of its many well done nature videos. Find out about the amazing local sealife in the other aquariums or learn about the Keys' natural history through many intriguing exhibits. The visitor center is open daily from 8am to 5 pm and admission is free once Park admission has been paid. Get out on the water by choosing a boat tour from the park's concession area. Choose from tours that are as few as 1.5 hours to a 4 hour scuba trip. The glass bottom boat tour leaves 3 times a day every day as long as weather holds. The snorkel boat trips leave four times a day. John Pennekamp Park has a PADI Five-Star Gold Palm dive shop which has instruction for all levels of scuba courses. 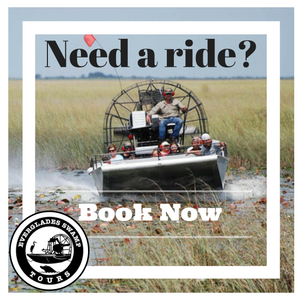 If you are wanting a more independent and adventurous option, you can also rent a boat to take out yourself for half the day or a full day. If you come with your own boat, the park rents slips in the marina for overnight stays. The slips have water, electric, and nearby restroom facilities. Since this is the Keys and a popular destination, consider reserving your slip ahead of time. John Pennekamp offers a variety of camping opportunities. Bring your tent or RV and enjoy wonderful sites with electricity, water and sewer hookups. Every site comes with a grill and a picnic area. Groups and Youth Camping sites are available but may not have water or electric available. Restrooms and hot showers are available. All youth camping must be adequately chaperoned and reserved at least 60 days in advance. While pets are welcome in the main campground no pets are allowed at the youth camping site. At the main restroom site, there are coin-operated washers and dryers for your convenience. Consider throwing your next gathering within the park. There are 12 pavilions available, barbeque grills, and Ranger-led programming that can be prearranged. None of the pavilions are equipped with electric or water.